Dozens of residents demonstrated outside a conference at the Hagerty Center on Monday to protest budget proposals from Gov. Rick Snyder. Several GOP lawmakers attended the event. 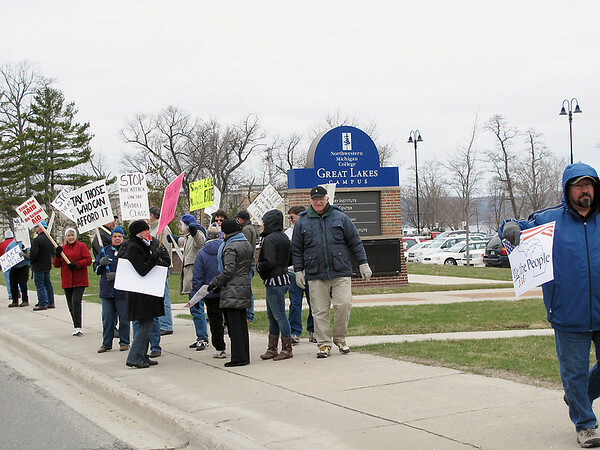 Hundreds also picketed Snyder's appearance in Cadillac on Tuesday morning.